Microsoft has voluntarily announced the recall after 56 reports of over two million power cords sold with Surface tablets all over the world were overheated, emitting flames. It had also received five reports from customers who had received electrical shocks. The US Consumer Product Safety Commission has informed users to unplug the cords and get in touch with Microsoft for a free replacement. 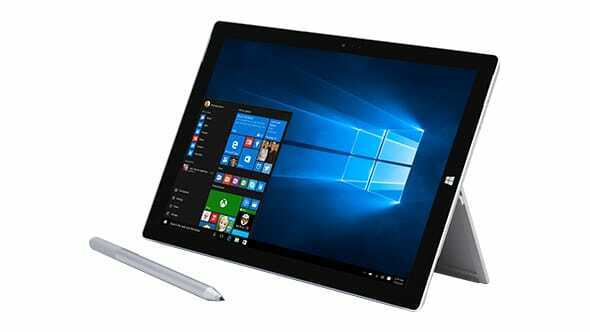 The recall is related to power cords which had been sold with the Surface Pro, Surface Pro 2 and Surface Pro 3 tablets prior to March 2015 in Canada and the US and July 2015 beyond those countries. Though Microsoft is yet to go public on the number of Surface Pro power cords it intends to recall over fire concerns, the US Consumer Product Safety Commission has conveyed that it is more than two million, stateside alone. Microsoft claims that it received reports that cord for the first, second and third generation of the slab-book sold prior to March 15 could be defective, as exposed last month. It has informed that this could be the outcome of them being wound too tightly, twisted or pinched over an extended period of time. Microsoft has informed that it will be providing one AC power cord free of charge and proof of damage is not essential. People with more than one Surface device would need to submit a claim for each device and it is not essential to send the old cords to them. Microsoft had sold around five million Surface devices since the launch, up to and inclusive of the first calendar quarter of last year, according to estimates from channel analyst Canalys. Recently Apple is also said to be in the process of recalling for certain types of AC wall plug adapters which were included in some iPhone, iPad and Mac products, owing to danger of the adapters breaking and resulting in electric shock. As per the company, the recall comprise of two pronged wall plugs adapters incorporated with Mac computers and 10-watt adapters included with certain iOS devices between 2003 and 2015. Generally speaking, the responsibility is on the consumer for the problem which Microsoft has been addressing. If one has been rolling the power cord up in a way so as to make them more portable, one would probably damage the cord. This could not only be the case of Microsoft cord but the cords in general. When one tends to roll up a cord against its natural shape there could be chances of fatigue wherein the complete length of the cord may tend to twist in a direction away from the length of the cord. According to Albert Cardenas, Product Manager for Consumer Audio at Monoprice, when asked for his advice explained that the stress against the natural coil could tend to twist the cord, ultimately weakening the cord to the point of irregular performance or even failure of the cord. Microsoft has confirmed that a very small section of Surface Pro customers had reported of overheating problems with regards to their power cables. Consumers will be advised to recycle or dispose their defective cords in order to avoid the probability of future dangers.